“It’s just madness and lazy politics to allow a cereal company to fund a health study and promote it as government advice” … “This means that the main evidence relied upon for the Australian Kellogg’s report is another Kellogg’s report”. Recently, I challenged the conventional dietary advice recommended to people with Type-2 diabetes, saying it was likely to worsen the disease. Specifically, I was critical of health authorities recommending a ‘low fat diet’ based on carbohydrate-rich foods like whole grains, breads, pasta and cereals. These foods are marketed on the benefits of high fibre and therefore inherit a ‘health halo’ but in reality, foods like whole grain cereals and bread are simply broken down to ‘glucose’, making it virtually impossible for diabetics to control their blood glucose levels without medications. Suffice to say, it was disappointing to see the Assistant Minister for Health, David Gillespie release a statement last week, encouraging people to eat more “grain” fibre to reduce their risk of type-2 diabetes and heart disease, claiming a new study showed it could save “the economy almost $3.3 billion in healthcare and lost productivity costs”. Reports in the media were uncritical, with one high profile dietitian, who is often promoting cereals and whole grains, blogging about the “billions of reasons to eat grain fibre”. But closer inspection of these parroted claims reveals a dark underbelly, with many becoming outraged that the nutritional advice from trusted government sources has been tainted by food industries looking to profit from the sales of their products. The ‘study’ was commissioned and funded entirely by breakfast cereal manufacturer Kellogg Australia, a company that stands to profit from the conclusions of its own study. The author of the study, Dr Flávia Fayet-Moore, is a dietitian at Nutrition Research Australia who conducted with study with Deloitte access Economics and often conducts studies on grains mostly sponsored by Nestle, Australian Breakfast Cereal Manufacturers Forum, Grains and Legumes Nutrition Council and Cereal Partners Worldwide, to name a few. In fact, the front cover of this new report left readers with no doubt that it was promoting the benefits of wheat based grain fibre. Brisbane-based Registered Nutritionist, Anthony Power, was disturbed by the lack of scientific rigour in the study. “This 70 page report cites only five papers to support their hypothesis,” he wrote. “Two have Kellogg’s funding, one has weak methodology and in fact one study clearly states the evidence is ‘too weak’ to support a link between fibre intake and reducing risk of diabetes, yet they cite it as support for their argument”. “It’s just madness and lazy politics to allow a cereal company to fund a health study and promote it as government advice” says Power. UK Obesity researcher Dr Zoe Harcombe penned a full critique the report, exposing some embarrassing flaws. Dr Harcombe was concerned that it relied heavily on one study, which was also funded by Kellogg’s saying “This means that the main evidence relied upon for the Australian Kellogg’s report is another Kellogg’s report”. The fatal flaw in the study is where the authors presumed that an “association” between grain fibre and chronic disease somehow proved “causation” by calculating the number of people who would not develop disease, thereby saving the economy millions. Dr Harcombe said “We know from the characteristics of participants in all dietary studies that people who eat fruit, vegetables and whole grains also tend to be non-smokers, non or moderate drinkers, exercisers, educated, and have a lower Body Mass Index”. Therefore, pinpointing the exact reason for why they are ‘healthier’ cannot be attributed to their grain fibre intake. To date, there have been major ‘gold standard’ systematic reviews, by the independent Cochrane Collaboration. In 2008, Cochrane investigated whether whole grain foods could prevent the development of type-2 diabetes. They concluded “the evidence from only prospective cohort trials is considered to be too weak to be able to draw a definite conclusion about the preventive effect of whole grain foods on the development of T2DM. Faced with the overwhelming need for better evidence to support making such unsubstantiated claims, why are the health messages about the benefits of a diet rich in whole grain fibre and cereal grains so powerful? A recent investigation exposed the ties between the packaged food giants and Australia’s diabetes authorities. 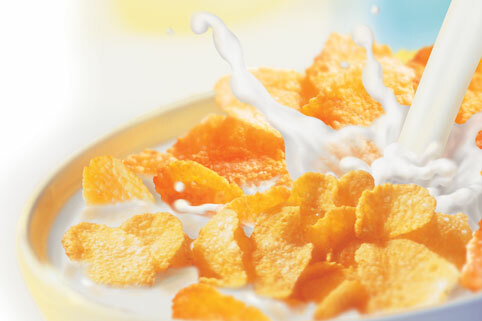 The Dietitian’s Association of Australia (DAA) partners with the Australian Breakfast Cereal Manufacturers Forum (ABCMF) with members like Freedom Foods, Kellogg’s, Nestlé and Sanitarium. Despite claiming independence from its sponsors, the DAA and its spokespeople, are often seen targeting ads to the public, promoting its sponsors’ products. Cereal & grain food manufacturers hire health experts hoping to use trusted faces to promote their processed food products on TV, YouTube and on social media. When asked about criticisms regarding the credibility of nutritional advice from dieticians who are paid by the food industry, Dr Joanna McMillan says “My advice is never influenced by corporate money. I work as a nutrition consultant as part of my company work. I’m a nutrition scientist so that’s part of the role”. The DAA itself admits that these relationships can increase product “sales and market share by reaching healthcare professionals who influence purchasing decisions” by aligning bands with “with trusted, university qualified health professionals”. Ms Voevodin is unequivocal about saying the corporate sponsorship of many dieticians is now undermining the profession. “It’s not okay to continue corporate partnerships, nor to share the policy table with vested interests. When you take corporate dollars, you are no longer in the business of health”. There has clearly been an erosion of public confidence in our health authorities and many claim we’ve ‘duped’ by food corporations with deep enough pockets to influence nutrition policy and buy the loyalty of scientists. If true, this is institutional corruption. Our governments should protect us from corporate interests, not enable them to define and shape public policy. How pervasive is the influence of Big Food on Australia’s official dietary guidelines and the medical system? The investigation continues. Dr Maryanne Demasi is an investigative medical reporter with a PhD in Rheumatology. Follow her on Twitter @Maryanne Demasi. PreviousAgents of influence — what about the Australian Strategic Policy Institute?